Currently there is national handwringing over the increasingly high price of gasoline. This appears to have Presidential election ramifications. A lower cost substitute for gasoline is good politics. Bills are pending in both houses of Congress to impose an Open Fuel Standard. This would require all new cars by 2017 to be able to operate on all proportions of gasoline, ethanol and methanol. From the standpoint of giving consumers choice for something approaching $100 per vehicle, this had always been a good idea. But persuading gas pumps to supply alternatives was going to be difficult because volume could not be guaranteed. Also, alcohols could not be predictably lower cost than gasoline. So, while the choice would be enabled by the legislation, unless at least a significant portion of the populace was likely to make the alcohol choice, fuel stations would not be persuaded to carry the product. Cheap shale gas has essentially removed the uncertainty on methanol pricing. By contrast ethanol from corn and sugar will depend upon commodity prices and inherent variability in the same. Economical ethanol from biomass is not a sure thing. On the other hand methanol from biomass, or coal for that matter, is straightforward. Of the two, ethanol is preferred because of higher energy density. It has about 33% fewer calories than gasoline of equivalent volume, whereas methanol is disadvantaged by about 45%. Ethanol is also easier to store and handle. Methane can be oxidized to a mixture of carbon monoxide and hydrogen known as synthesis gas or syngas for short. Syngas is a basic building block from which a variety of chemicals can be synthesized. The simplest of these is methanol. Consistently cheap methane equates to consistently low cost methanol. Because of the mileage penalty of about half in comparison with gasoline, methanol will need to be less than half the price of gasoline. Assurance of this boils down to the relative prices of oil, from which gasoline is derived, and natural gas. We have predicted that natural gas will remain low cost provided shale gas development is permitted. Oil on the other hand we forecast as likely to see a sustained increase in price in the ten year time frame. Furthermore, oil pricing will be subject to the whims of Middle East turmoil, as evidenced today with Iran/Israel war drums. This will cause uncertainty in gasoline price at the pump. Natural gas on the other hand is a regional commodity and US pricing will by and large be impervious to world events. The upshot of all of this will be sustained favorable ratios of methanol to gasoline prices. At the time of this writing retail gasoline was at $3.79 and methanol wholesale at $1.13, so let us increase that to $1.50 to include retail margins, tax and the like. This is well below the factor of two. Furthermore, almost all the methanol is currently imported. Several companies have announced plans to add domestic capacity, driven by cheap natural gas. When this happens, we can expect a drop in price of methanol. Ongoing research is targeting direct conversion of methane to methanol, skipping the syngas intermediate step. One less unit operation is likely to drop the price. Consumers given choice are likely to find a sustained low price for methanol compared to gasoline. However they will drive only half the distance on the full tank, a bit more with M85 (an 85% methanol 15% gasoline blend). This range penalty will be a minus. The plus in addition to price, will be substantially lower emissions, which could be a driver for some consumers. They will essentially be trading more frequent refueling for the green feeling. Eventually, new cars may install larger fuel tanks to accommodate the demand. A wild card in the longer term would be engines that took advantage of the higher octane rating of methanol, 117 as compared to 87 for regular gasoline. 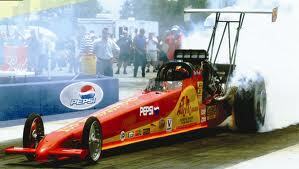 Today dragsters and Indy race cars use methanol because with high compression ratios they get a power boost. A 2010 report from the MIT Sloan School (see comment below for the link) suggests the feasibility of an engine that injects methanol on a programmed basis. This technique causes an effective compression ratio even greater than the number mentioned above. The result is a small spark ignition engine with mileage that exceeds that of a gasoline fueled machine by about 35%. So, harnessing the higher octane rating goes even beyond wiping out the calorific penalty. They also believe that the cylinders would not need to be excessively heavy, and so will be lighter than the ones for high compression diesel engines. This appears to offer the promise of an engine not costing much more than a normal one, and likely less than a diesel engine. This would involve re-tooling by automobile manufacturers but not radically. A significant attraction in the medium term will be in meeting CAFÉ goals with lower emissions. In the long term, biomass derived methanol will make for a truly sustainable transportation future. The potential for enhanced efficiency is compelling. Is this the Sloan study that you refer to? I’d like to see more detail (and/or references) for direct injection fuel-flexible engines. At high compression ratios, why is spark necessary? Could they not operate as an un-sparked diesel engine? But how do you avoid the nitrogen oxide generation, and the heavy cylinders of normal diesel engines? Massachusetts Institute of Technology, Revised November 28, 2010. It gets into quite a bit of detail regarding fuel injection versus spark engines; apparently some of the work was done at the EPA. I too am not clear why the higher compression does not require thicker walls, but that is what they say. But even if the high compression methanol engine costs as much as diesel we would still be ahead because it is lower on emissions, certainly no particulates as in diesel. As to lower NOx, I believe it has something to do with a somewhat lower temperature burn, the way they do it. But they are definitely claiming it. You will need to go to the original sources mentioned in the report for the true detail. The cetane number of methanol is 3 which means that it ignites too slowly when injected into highly compressed air to power an engine (diesel fuel has a cetane number of 50). So methanol must be injected prior to compression (to a pressure less than a normal diesel engine) and then ignited either by spark or perhaps (as Volvo is doing for a prototype CNG truck engine) by injecting a small amount of diesel fuel. I think that it might be worthwhile to more carefully compare life cycle costs and carbon footprint for methanol vs. methane (CNG) for various transportation applications. I wouldn’t bank on natural gas prices staying low in either the mid or long term. If you’re right and we start utilizing natural gas and it’s by-products as a transportation fuel, demand will increase, which will change the current price equation. Also, while the fossil fuel lobby is very powerful, it’s not a sure thing that the “enhanced” recovery methods..ie “fracking” will continue to be allowed. If you step back and look at fracked natural gas objectively, it’s not really that big a bonanza. First, each well takes as much as 5 million gallons of water that is mixed with some pretty nasty chemicals. Then the mixture is injected thousands of feet underground where it can then migrate into the water supply. In addition, this injection technology is suspected in causing seismic activity that has already costs society hundreds of millions of dollars. Add this to the fact that the EROI for fracked natural gas really isn’t that great and it quickly calls into doubt the sense in pursuing these reserves. How about ” optimizing” current E85 FFVs so they don’t suffer from the fuel economy penalty due to lower energy content of ethanol as compared to gasoline? Since ethanol also has a higher octane fuel than gasoline I have been told that if FFVs were optimized the drop in fuel economy would go away. With all U.S. manufacturers already committed to expanding FFV offerings, this would seem like a logical thing to push for. That absolutely is an option. I am just getting more bullish on methanol price versus gasoline as opposed to same for ethanol until there is a breakthrough in cellulosic ethanol. But now we are not talking a $100 conversion cost. It will still be worth it though, in my view. « WHY ARE GASOLINE PRICES HIGH AND VARIABLE? You are currently reading METHANOL HAS MOMENTUM at Research Triangle Energy Consortium.